by showcasing the pivotal moments, people and historic places that shaped the story of our state. 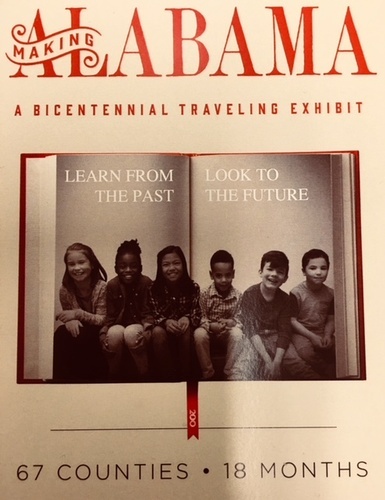 The Cherokee County Historical Museum in Centre will host the state’s Bicentennial Exhibit “Making Alabama”, August 4th – 24th, with a Grand Opening event set for this Saturday (On August 4th) from 10:00am – 2:00pm. The display tells the history of Alabama through various photographs, artwork, and printed explanations on giant panels. Computer tablets with “touch screens” also offer information about each period in the state’s history. Admission to the museum is FREE while the exhibit is in place. Open 9:00 – 4:00 Tuesday – Friday, and from 10:00 – 2:00 on Saturday.